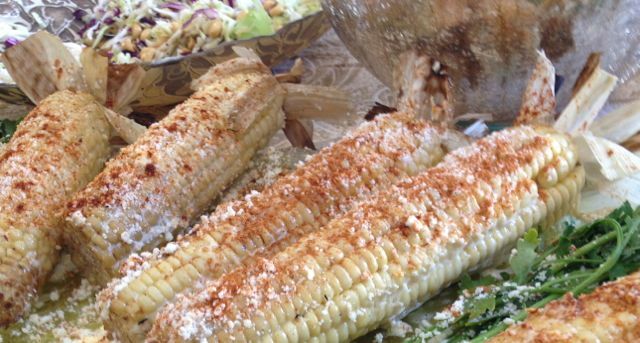 Mexican Corn is more than a mouthful with Mayo, Butter, Cotija Cheese and BBQ Rub. She isn’t alone. Many people think of BBQ as fatty meats and heavy sugary sauces. 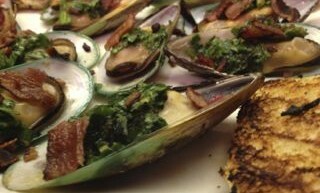 Fortunately, a new day has come where Grilled and Smoked Foods are finding their way into many healthier diets. POWER Rub comes with low levels of Salt and Sugar for those who indulge. The new HEROIC! Rub is all-natural with no added Salt or Sugar. You can add your own form of sodium or sweetener as desired. Mexican Corn is not only a side dish. Cook some along with Grilled Caesar Salad for a Vegetarian delight. You can go Vegan by using Vegan Butter, Mayo and Cheese. 1. Prepare Fresh Corn- Remove hard outer husks from each ear of Corn. Trim stem to 1 inch. Leave a small layer of tender husk attached. Pull husks back and remove as much silk as possible (Run under sink?). Then replace husk back around Corn. 2. Soak Corn- Immerse Corn cobs in water for minimum 1/2 Hour to Overnight. This will tenderize Corn and moisten husk so it doesn’t burn (and protects Corn on grill). Also adds more corny good flavor. 3. Cook- In Smoker or Grill for 15-20 minutes on moderate heat, rotating to get some color on all sides. [No Grill?- Place Corn in microwavable dish, in shallow water for steaming. Cover with plastic wrap or glass lid. Cook on High for 6-8 minutes, rotating midway through, until tender]. 4. When cool enough to handle warm Corn, pull back husk (and snip) and generously rub Corn with Butter, then Mayonnaise. Cover it with layer of Cotija Cheese (roll in it or sprinkle throughly). 5. Finish corn with a generous sprinkling of POWER or HEROIC Rub.